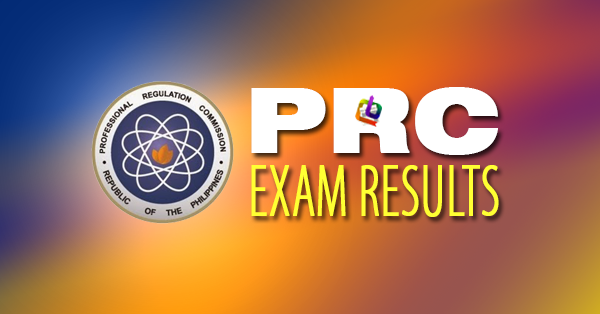 The Professional Regulation Commission (PRC) and the Board for Professional Teachers (BPT) announces the names of secondary education graduates who successfully passed the Licensure Examination for Teachers (L.E.T.) given last September 30, 2018 in testing centers all over the Philippines. The regulatory body will also reveal the number of secondary teacher passers who are first timers and repeaters. Registration for the issuance of Professional Identification Card (ID) and Certificate of Registration will be set on a later date. The requirements for the issuance of Certificate of Registration and Professional Identification Card (ID) are the following: 1) Notice of Admission (for identification only); 2) downloaded duly accomplished Oath Form or Panunumpa ng Propesyonal; 3) two pieces passport size pictures (colored with white background and complete nametag); 4) two sets of documentary stamps; 5) 1 piece short brown envelope. Successful examinees should PERSONALLY register and sign in the Roster of Registered Professionals. The dates and venues for the oathtaking ceremonies of the new successful examinees in the September 2018 Licensure (Board) Exam for Teachers (LET) secondary level will be announced later, the PRC added.